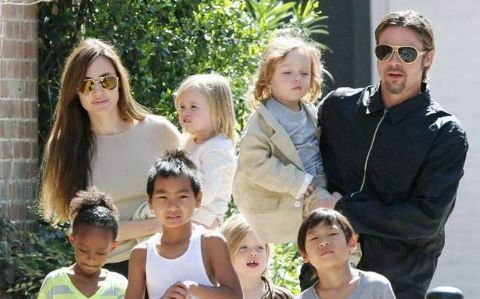 Things have changed to normal for Brad Pitt as he makes way back to work in LA after reaching a new agreement in the custody battle with Ex-wife Angelina Jolie. The 12 Years a Slave star got back to the Los Angeles where he will be shooting for a new movie titled Once Upon a Time in Hollywood on Monday, June 18. He returned to the sets after spending some quality time with his children on Father's Day at London. The two-time Oscar winner seemed to be happy about the new decision which ordered Jolie to let Pitt have more time with their children. The latest decision was taken after it was deemed beneficial for the kids to have a good relationship with their father. The court also added that it was safe for them to be with their father and that it was critical that each of them should have a healthy and active relationship with both their parents. While the kids, Pax, 14, Zahara, 13, Shiloh, 12, Knox, 9, and Vivienne, 9, have to spend more time with their mother, their eldest son, Maddox, 16, is free to choose whoever he wants to be with. The documents obtained by the US Weekly also need Jolie to give Brad his children's private numbers, and it also stated that the actress couldn't monitor the messages. Jolie and Pitt were together for more than nine years before getting married on August 23, 2014, in Miraval, France. The duo parted their ways on September 19, 2016, citing irreconcilable differences as the main reason.